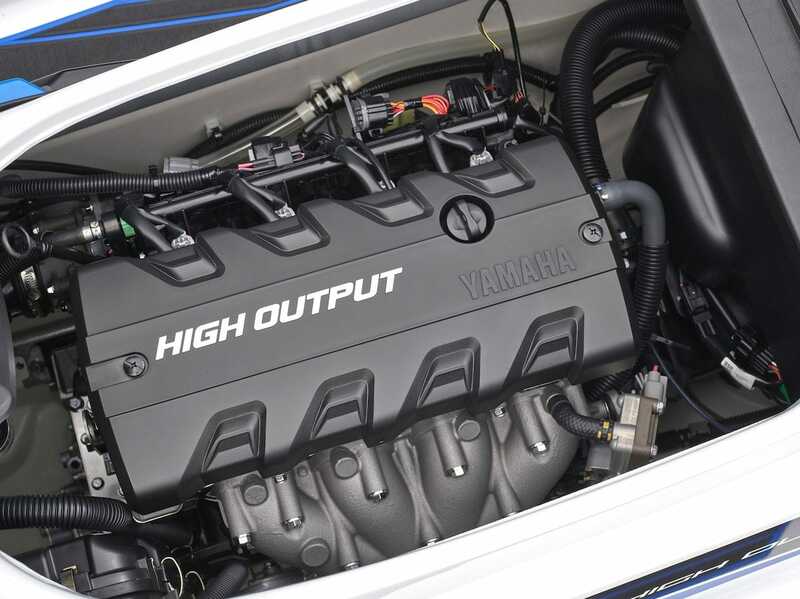 Power delivery from the large displacement, High Output 1812cc engine is exhilarating - and the Hyper-Flow jet pump with its 3-blade impeller helps turn that power into electrifying acceleration. The Electronic Fuel Injection (EFI) gives the smoothest possible power output and efficient, economical running, even on regular unleaded fuel. 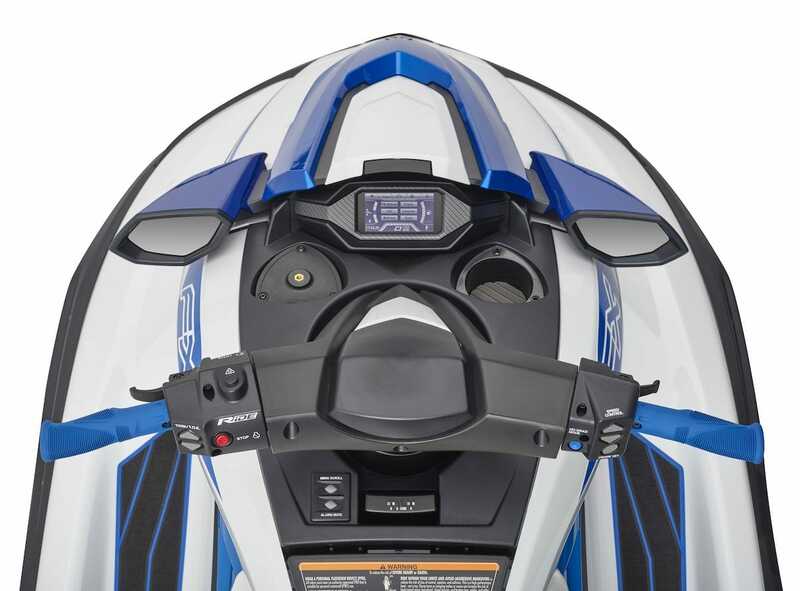 The hull of this latest FX model is crafted in Yamaha's unique NanoXcel2 material. Impressively light, yet rigid and strong, So combined with the sleek new aerodynamic body shape, the result is awesome on-water performance - stunning acceleration, higher top speed, greater economy - and an even more comfortable ride. 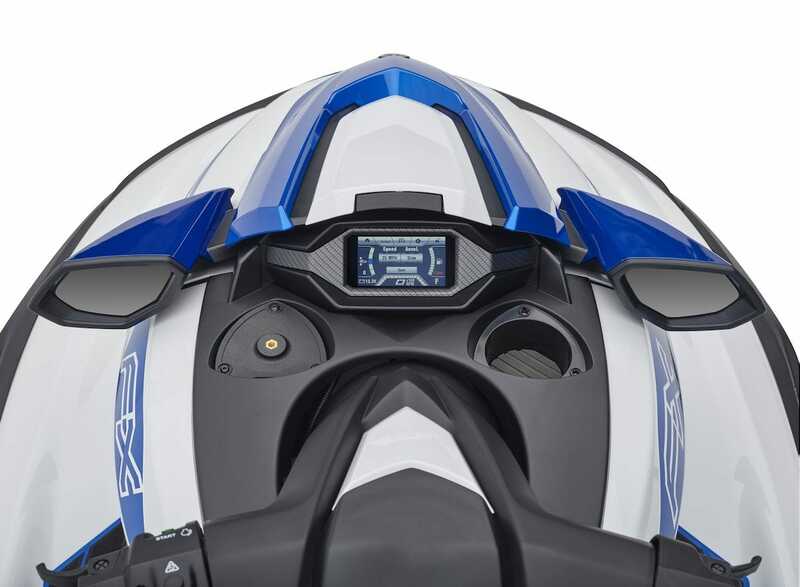 The revolutionary RiDE system transforms your riding pleasure, bringing a new feeling of confidence to every rider... at every level. Simply pull the throttle lever on the right hand-grip to move forwards and accelerate - pull the lever on the left grip to slow down or to reverse. Yes, it's really that simple! Our sophisticated Electronic control system will delight you with its 'intelligent' features. 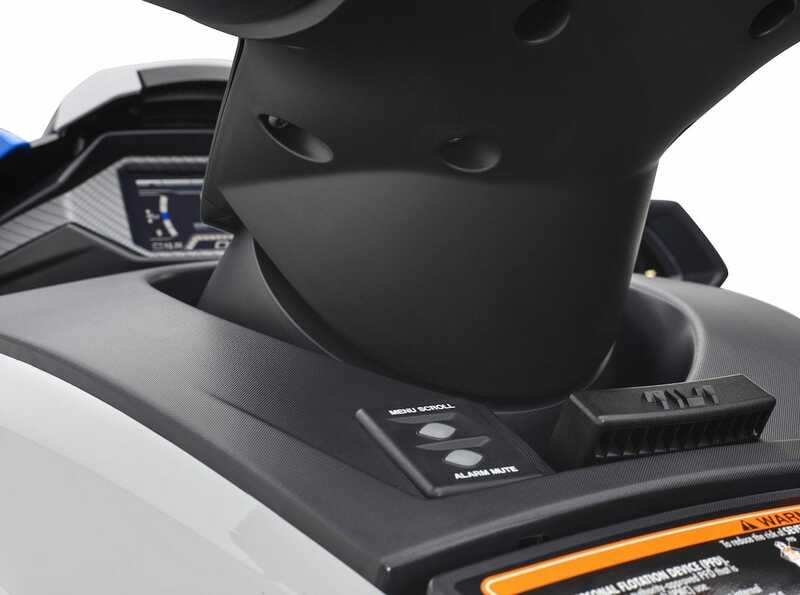 Use Cruise-Assist to set and maintain exact speeds, the 3-position No Wake Mode to navigate through low speed areas - and electronic Reverse-assist and TDE (Thrust Directional Enhancement) for ultra-low speed manoeuvring and docking. 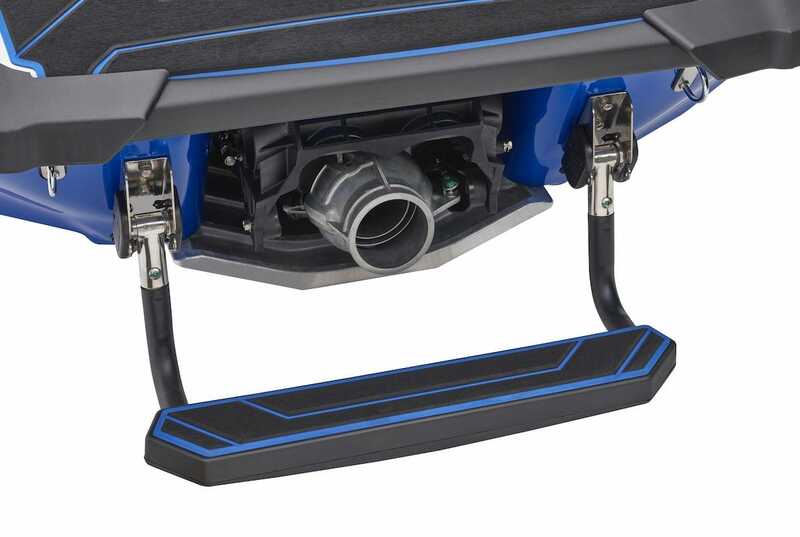 This latest generation of our well known 'L-mode' system allows you to not only pre-set a top-speed limit, but also an acceleration curve, making it the perfect partner when you're towing tubes or wakeboards. You can also lock in lower speed settings for novice riders - and set a steady speed on longer trips, in order to achieve maximum economy. From tilt-adjustable steering to a 3-person seat, including a large swim platform with a deeper and wider step and dual handles for re-boarding, this FX really does offer more comfort. Plus a new industry-first footwell drainage system. With this innovative system there's no sperate remote control to worry about - just use a PIN code to set and unset your security and control modes via the handy switch - and a touch on the new CONNEXT display screen. 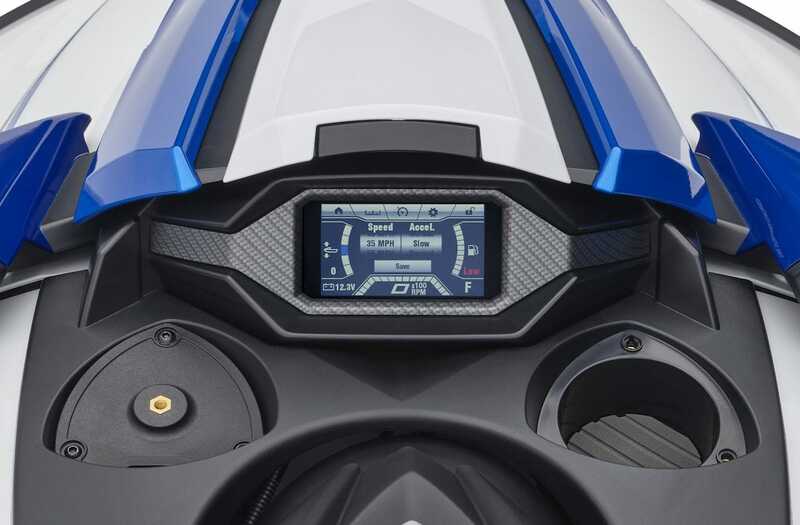 Clear display of F-N-R, speed, trim and RiDE system status, with diagnostic information and control of all the electronic systems, are features of this stylish new, industry first, 4.3-inch colour touch-screen, CONNEXT. It is also fully customisable - from screen colour and layout to choice of the function being controlled or displayed. We've designed around 30% more easy-access storage into our latest FX models - so your adventures can be longer and take you further. 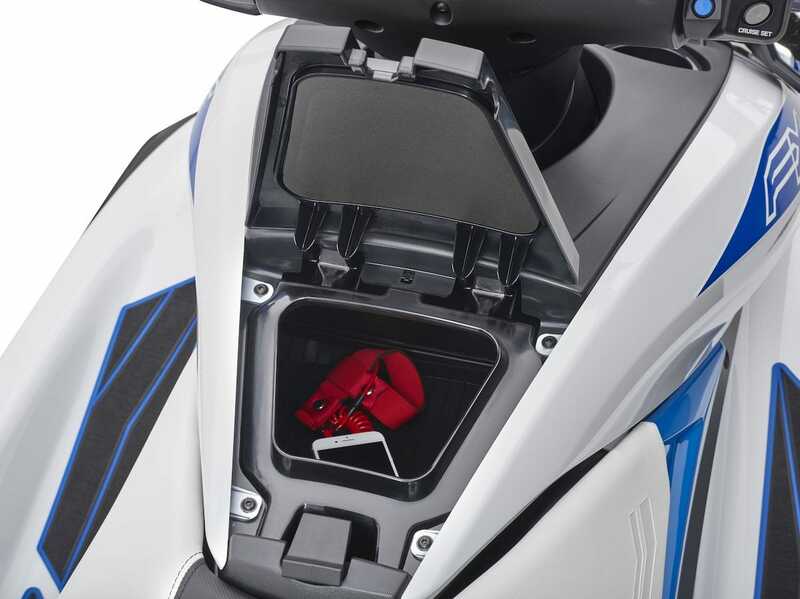 There are cleverly integrated, practical storage solutions all round the boat, including a very large watertight glovebox compartment and generous storage under the seats and at the bow and stern.